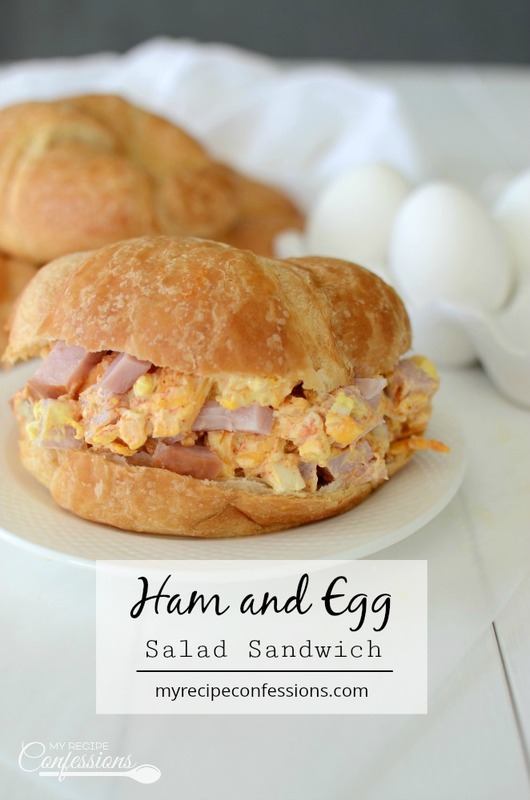 This Ham and Egg Salad Sandwich is always a huge hit! I made it a few months ago for my son’s baptism brunch. We wanted to serve something that we could make the night before but was also filling. 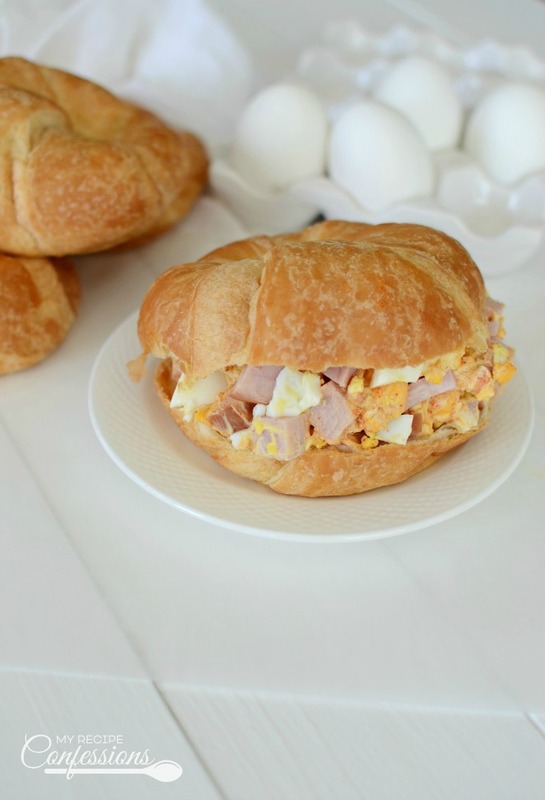 I already have an easy bacon egg salad sandwich on the blog but I wanted a breakfast version. With a little tweaking here and there to the original recipe, I came up with this flavored packed recipe. There are so many possibilities for this recipe. You can serve it for breakfast, brunch, lunch or dinner. 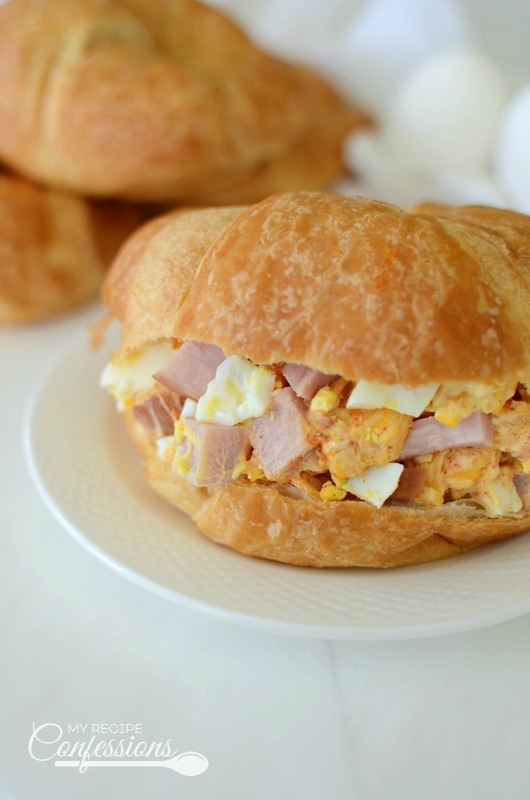 These delicious sandwiches can be served on cocktail croissants for a baby or wedding shower. Bacon can also be used in place of the ham. Here are a few products I used to make today’s recipe. The links above are affiliate links that pay me a small commission on my referral at no cost to you. Thank you for your support! Place the garden vegetable cream cheese in a small microwave-proof bowl and microwave for 20 seconds. Add and mix the remaining ingredients together in the bowl. 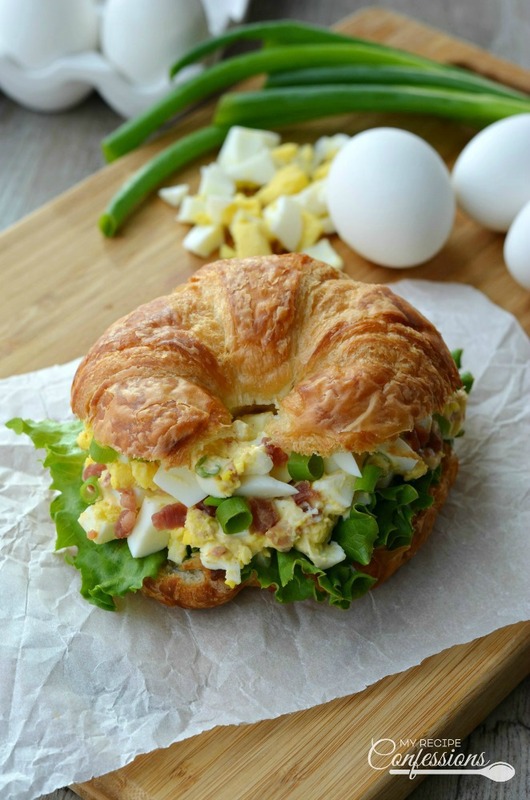 Scoop egg salad sandwich into croissants and chill until ready to serve. Try Easy Bacon Egg Salad Sandwich next!